Barr Credit Services has worked with American Lawyers Quarterly for several decades. The years of service Tom and Nancy Hamilton have provided, show their commitment to excellence and their dedication to this industry. Between their experience, knowledge, and professional relationships — both national and International — they have been instrumental in the growth and development of BARR. BARR employs the ALQ list frequently and confidently knowing the attorneys will have experience in collections and accommodating client needs. ALQ has always excelled in customer relations and any expressed concerns are resolved promptly. I have the upmost respect for Tom and Nancy as colleagues and now as friends. I highly recommend their services. CST has used ALQ for as long as I can remember, I have been with CST for over 40 years. I used them in three different regions of the country through CST offices and can say that the professionalism is unmatched. Tom and Nancy have always been available and take care of business quickly. We are certainly in 'good hands' with ALQ. — Edward T. Burton, Executive Vice President, CST Co.
Our firm began working with ALQ less than four years ago but has already developed multiple client relationships with quality agencies and forwarders. ALQ remains a steadfast asset for us and a trusted partner. We look forward to continuing to work with them while we build our business together. ALQ consistently provides a highly professional, efficient and reliable service. Their knowledgeable team answer our questions thoroughly and promptly and are a pleasure to deal with. The quality of referrals is excellent and has led to the establishment of first class business relationships. In summary – outstanding service from outstanding people. We have relied on The American Lawyer’s Quarterly since we started our business in 2000. I have personally known Tom and Nancy Hamilton, and have entrusted our legal cases with them, for over 30 years. ALQ has been there for each and every milestone in the development of our company. Tom and Nancy were also instrumental in realizing our plans to be a trusted international agency, allowing us to build partnerships in over 120 counties. We continue to expand our presence with Nancy and Tom’s assistance in making personal introductions to new markets and potential partners. We are very happy with ALQ, and would like to go on record to thank Nancy, Tom, and all those at ALQ that have been an integral part of making our company what it is today. — Nancy Seiverd, President, CMI Credit Mediators Inc. I have been involved with commercial collection agencies since the late 1970's and have worked with American Lawyers Quarterly as a claim forwarder since that time. One thing that has always stood out with ALQ is their ability to establish and maintain a close working relationship with our agency. ALQ's timely communication and consistent follow-up have greatly contributed to our success in the world of legal collections. When I opened my law practice in California ten years ago one of my first decisions was to join ALQ. This has turned out to be one of my best decisions. ALQ has not only been a constant and continual source to obtain business for our office, it has also served as a vital resource for education and connection within the entire creditors' rights community. I have known Tom and Nancy Hamilton for a few decades now, receiving claims over the ALQ and being involved with them in meetings for the CLLA and IACC. The ALQ has been instrumental in providing my office with quality clients and claims and continues to do so. The ALQ is a very good source of information and people to contact for me and my clients when I or they need help finding resources in other states. I greatly appreciate them and their help. I have been an ALQ listee since the inception of my law practice some forty years ago. Nancy and Tom Hamilton assisted me in establishing relationships with clients, many of whom I am proud to still represent. I have attended literally hundreds of trade association meetings and you can count on Nancy and Tom to make introductions and foster relationships. ALQ has been and continues to be a most vital business partner. I have been using ALQ since I started at Graphic Arts in 1985. I have always found them helpful when I had a problem and needed guidance. I would like to thank everyone at ALQ for their friendship and loyalty over the last 30 years. Our office has been working with ALQ for the last 5 years and during that time we have been able to make meaningful relationships with high quality agencies and other forwarders through their introductions. We consider them a trusted partner and look forward to working with them for many years to come. I have been an ALQ listee for over 25 years. Tom Hamilton and the entire staff have always been helpful in assisting me with existing clients and connecting with new ones. There's just simply no words to describe the support and help we received from AMERICAN LAWYERS QUARTERLY. Every time we are in need of a competent and reliable Law Firm we always reach out to them. They are sincerely the best we ever used and had. They reply to all our requests on a timely manner and always refer us the best qualified commercial recovery attorney who in turn will assist and help out our firm and in consequence our clients in all legal services we are in need. Thank you very much AMERICAN LAWYERS you guys are awesome. Our agency sends hundreds of files to attorneys all over the world every week and none of this would be possible without ALQ’s beautifully organized and intuitive website. The site features are crucial to managing the volume of work we have to get through in a day. Their archive feature has saved us more times than we can count. And we have formed invaluable relationships with attorneys that are now like family thanks to Tom’s recommendations. The ALQ staff immediately responds to any question or need we may have and it’s truly comforting to know that they are in our corner. This is an easy service to recommend. We can’t do what we do without ALQ. It's hard to believe, but I have been using the American Lawyers Quarterly's attorney forwarding network for about thirty years. Tom Hamilton and his staff have always gone out of their way to assist me in finding the right attorney in any location throughout the world. The American Lawyers Quarterly has been a constant in my career in the collection business and have been a valuable tool for me as a Collection Manager, an agency owner, a debt buyer and now as Risk and Collection Manager for Sterling Funding a Merchant Cash Advance Company. I've watched ALQ evolve with the times as my own career has taken various twists and turns. The American Lawyers Quarterly is an example of what a law list should be maintaining both the finest traditions of the triadic system and at the same time changing its model as the times have changed. I have been listed on ALQ for over 30 years, in good times and bad. They have worked with me, supported me and when possible recommended me to new sources of business. This is a tough and competitive business we are in, to say the least. But ALQ has always been the consummate professional, loyal and concerned to a fault. I have had my collection law practice for 23 years. During that time I have learned to fully appreciate consistent and positive business relationships. Among those at the top is my relationship with ALQ. ALQ is fully involved at all levels of the commercial collection business at all times. Tom and Nancy Hamilton's experience and perfect combination of both a professional and personal approach to our industry enables them to provide so much more than simply a listing. As a third generation member of the CLLA, I appreciate the long standing traditions of excellence in our industry. No firm exemplifies long standing service and excellence better than ALQ. My family has had the pleasure of both forwarding and receiving business over the ALQ. My grandfather was a co-founder of a commercial agency that used the ALQ beginning in 1927. In 1952 my father opened what is now Lloyd & McDaniel, and became a listed attorney with the ALQ. Our firm has continued the relationship all of these years, and through it all ALQ has distinguished itself as an exemplary industry leader. — James M. "Buck" Lloyd, Attorney, Lloyd & McDaniel, PLC, Louisville, Ky.
For more than 35 years I have been practicing law, concentrating on commercial litigation, collections and creditors’ rights in bankruptcy. As a young associate, I always saw the copy of the American Lawyers Quarterly directory on my boss' desk but didn't pay much attention to it. Only in 1988 when my partner Jules Teitelbaum passed away did I first really encounter and understand the triadic system and the world of Law List Publishers. While trying to decide to which publishers the successor firm would subscribe, conversations with colleagues guided me to the fact that ALQ was, without question, one of the first publishers to which we needed to subscribe. During the years since then, I have come to know Nancy and Tom Hamilton as colleagues and friends. Each of them is ever vigilant to make sure that I am introduced to someone I may not know and who may be a source of future business. And, it is not just to receive business that the ALQ is valuable. Often we are asked by a client to recommend a collection lawyer in another part of the country. While I may know someone from my CLLA contacts, when I don't, ALQ is one of my first resources to find someone to recommend. If I am still not sure, I pick up the telephone and call Nancy. ALQ has been and remains a steadfast part of my business resources. TL&S has been listed with ALQ for 94 consecutive years. The reasons for this long term relationship are many. Tom and Nancy and their staff genuinely care about the success of your firm. For us, they are not only business partners but have become true friends. They know the decision makers for the forwarders and make a point to introduce you to them not only at conferences but throughout the year. They are reachable, responsive and most importantly, follow through. They keep abreast of and continually inform us of changes in the credit and collection industry. They regularly volunteer their time in leadership roles in the many organizations within our industry. They are ahead of all the rest with their informative industry news and timely topics. We could not exist without them. Windtberg & Zdancewicz, PLC has formed a lasting strategic relationship with the American Lawyer’s Quarterly. The relationship exists because we receive quality referrals and can reasonably rely on ALQ's high-caliber professional services. Our firm benefits by the superior referrals we receive from ALQ's other strategic partners, and, when we are referring matters outside of Arizona we use the ALQ resources to locate well-respected and knowledgeable collection professionals. We value the personal relationship the ALQ team brings to the profession and appreciate getting thorough and complete answers to any questions we present to the ALQ team. Since my start in the collection industry 20 years ago, ALQ has always provided top notch service to its listees. Now, as the owner of my own firm, I appreciate so very much that service along with their team that you can count on! The forwarding agencies and firms that use them are very professional, and they are clients that are a pleasure to work with! We love the ALQ and appreciate the service they provide! Once my firm became listed with ALQ, the response was immediate and impressive. In addition to the new clients, ALQ made a real difference in promoting the firm on a national level. ALQ remains the benchmark for law lists in the areas of service and quality claims. We began working with the ALQ about a year and a half ago and they have been a tremendous asset to helping us find local counsel in the United States. They are very timely with communication and have really helped us eliminate the guesswork from our foreign forwarding. We look forward to working with them many years to come. I have been a listee with the ALQ for over 20 years and am very pleased with the referrals given to my practice. In addition, ALQ is like family in that I can always call and speak with them and get their expert guidance and assistance with building my practice. ALQ was the first law list I called when I went out on my own. Our office has dealt with the ALQ for the past thirteen years when I opened my own practice. While there are many important comments I might make, I am very impressed by the many referrals that come straight from the "book." ALQ is the first place attorneys look for an out-of-town attorney, and the reason they do that is because of the excellent reputation Tom and Nancy have. Our firm is proud to have been listed in the American Lawyers Quarterly for many years. I believe we have been listed since 1925. I believe ALQ does an excellent job of screening the law firms listed in the Directory and refuses to list just any lawyer simply because the lawyer pays a fee to be listed. When local lawyers call me asking for a collection lawyer in another state, I use the ALQ to find a lawyer in another state as I believe any lawyer listed in ALQ will be competent and trustworthy. — James Vogt, Attorney, Reynolds, Ridings, Vogt & McCart, PLLC, Oklahoma City, Okla. I have found ALQ to be the most professional and responsive of all of the law lists. They are always there if you have a particular question or a problem with a given matter. My relationship with them has been nothing short of rewarding both for myself and my business. We have been engaged in Commercial Debt collection since 1999. It was in 2010, we started working with American Lawyers Quarterly and since then, we have been using the services of ALQ repeatedly. ALQ has the best quality list of service providers around the globe. We are pleased with their prompt responses and helpful services. Their website is a fast and convenient aid in finding collection companies and attorneys to help us in our international commercial collection matters. We contemplate to use the ALQ's services for many years to come. As our law firm concentrates on international commercial debt collection, I attend international conferences focusing on this area. Nancy Hamilton also frequently attends these conferences in order to expand ALQ, ALQ’s network of international lawyers and collection agencies and to better serve her clients. She realizes that in this global economy, international commercial debt recovery is an essential part of debt recovery worldwide. For years, our firm has worked with ALQ. We have found that working with a group like ALQ, with their friendly and hardworking staff, has added significant value to our practice. Everyone at ALQ is responsive and attentive and provides incredible service for each and every file they touch. We look forward to working with ALQ for many years to come. Millennium Collections has utilized the American Lawyers Quarterly law list almost exclusively since our formation in 1997. We have found the attorneys listed in ALQ to be knowledgeable and capable in the field of creditors’ rights, and their representation of our clients’ interests to be more than adequate. The service provided by ALQ is exceptional, and they have always been responsive to all of our needs. We unqualifiedly recommend ALQ to forwarders seeking a solution to their legal requirements. We have used ALQ as a forwarding source for the last 15 years. We regularly use ALQ's database for entering claims. It is easy to use and an efficient way to refer claims. Tom and the staff at ALQ are quick to respond if we have any questions or need a referral. Congrats, Tom. I see continuous growth and influence from ALQ. ALQ’s longevity serves as evidence enough of its utility in the world of commercial collections. Any organization that has proven its value to several generations of attorneys and collection agencies – not exactly the type of customers known for brand loyalty or unnecessary expenditures on irrelevant memberships – is an organization that deserves our attention. But ALQ isn’t just an impressive relic of the past, but rather a necessity to the entire world of commercial collections now. It continues to serve as a meeting ground of those representing commercial creditor needs. Personally, it’s helped me grow my practice to include clients from all over the country that otherwise would have never known of my existence. Thank you, ALQ, and to its excellent staff. Keep up the good work. As chaotic as the progress of this industry can be, I know that I can count on Christopher Pona and his team at the ALQ to always make sure that the progress of each case will go smoothly. If a problem does arise, they are on the issue as soon as possible to make sure there are no bumps in the road. ALQ provides the highest standards and we are always comfortable referring their list members to our clients. When a complex question arises, someone at ALQ is always available to respond and will refer us to a specific individual in the geographic area desired. Finally, as our firm has the honor of being listed, we especially appreciate the quality of referrals and the personal attention of Tom, Nancy and the entire ALQ staff. — Stanley M. Hammerman, Partner, Hammerman & Hultgren, P.C., Phoenix, Ariz.
As a listee with ALQ for many years, as a receiver as well as a forwarder of International Commercial Claims from and towards many overseas countries, we must admit that most of our reliable partnerships abroad have been established through ALQ, especially with the so appreciated help of Tom Hamilton. Tom is to us the real benchmark and a true champion if it comes to swift and accurate response. Thanks so much Tom for helping forward our organization in the global context we must work in on a daily basis. In the 50 years our law firm (and our predecessor) has been with ALQ, their performance has been perfect for us. Tom Hamilton and his staff remain hard working and dependable sources of business for us. I remain grateful for all the years we have done business with ALQ and look forward to many more years as a listee. I have been a listee of ALQ since I established my collection practice in 1977. In addition, I have had the pleasure of knowing Tom and Nancy Hamilton from numerous Commercial Law League meetings over the years. They were extremely supportive when I started my practice and have continued to be an excellent source of new business. They have also been very attentive when I needed an out of state referral or when I just needed some general guidance. I consider the ALQ to be an extremely valuable resource, am proud to have worked with them and look forward to continuing our relationship in the future. As an active leader in the commercial collection industry, ANI International, Inc., and MCA International, Inc., have been utilizing the services of the ALQ for 40-plus years. We have had nothing but a positive experience when it is necessary to call upon them for their assistance and support. We are accustomed to receiving the highest quality of service in the way of customer relations, professionalism, communication and prompt feedback to our requests and inquiries from this organization. We look forward to continuing our business partnership with Tom Hamilton, and the ALQ, for many years to come. — Les Kirschbaum, President/CEO, ANI International Inc.
ALQ is a law list you can TRUST. Their list and website make the entire forwarding & bonding process for a collection agency an absolute breeze! They then top this off with beyond excellent service. THANK YOU ALQ!! Our firm has been associated with ALQ for close to 40 years. While there are numerous lists in our industry, it has been my opinion that if you need any type of information or assistance concerning commercial agencies, there is only one place to go and that is to speak to either Tom or Nancy at ALQ. The information they give you is always accurate. If they don't have the information on hand, they will go out and get it for you. They are quality people and it has been a pleasure for my office to know them personally and deal with them on a professional basis. My office has been an ALQ listee since the 1980's. The ALQ has been very important in the growth and stability of my practice by consistently providing quality referrals and clients. Many of these referrals have blossomed into solid and prosperous business relationships. Tom Hamilton and his staff deserve praise for their professionalism over the years, particularly in an era of constant change. You can always count on the ALQ. American Lawyers Quarterly has been and continues to be one of our most valued partners. It is an integral part of our success. The membership fees are a modest investment that generates an ongoing stream of quality referrals. ALQ takes the time to learn about its members and is mindful of that knowledge when making referrals. Most importantly, our relationship with ALQ requires minimal administration, which keeps us practicing law and working claims. Rubin & Levin has considered the American Lawyers Quarterly a trusted resource for many years. The care and personal attention given to the ALQ by Tom and Nancy Hamilton has allowed it to remain a symbol of excellence in an industry that is ever-changing and evolving. — Christine Hayes Hickey, Esquire, Rubin & Levin, P.C., Indianapolis, Ind. Whereas I have interacted with ALQ since 2001, I truly started to experience ALQ's value about 5 years ago when I took over as the relationship manager with all of the firms’ law lists. Tom, Nancy and now Jeremy welcomed me with open arms and did everything possible to make it a seamless transition. As both a forwarder and receiver of claims over ALQ I can honestly say that there is no better value. ALQ truly knows what we do and what our capabilities are, because they ask and they listen. In addition, ALQ closely follows this industry and there is no better source of information as to current and future trends then ALQ. With ALQ it’s not just about the work, it is about the relationship! I have enjoyed a long and rewarding relationship with ALQ. Through ALQ, I have established many long standing clients and have grown my collection business. ALQ and Jeremy Brown epitomize professionalism, and cooperation. Jeremy is always responsive and prompt with any of my issues and often introduces my firm to new clients. I attribute much of my firm’s success to my professional relationship with ALQ. Jeremy and the ALQ team are a very responsive firm and professional in all dealings. Since we have become an ALQ listee we have been receiving regular enquiries and commercial cases year over year from different collection agencies and law firms where the debtor is located in the Middle East and North African countries. This clearly shows that there are many different customers and ALQ listees as well who are using ALQ as a reliable source to find collection services in different parts of the world while at the same time ALQ protecting the forwarders through its insurance program. Frankly we as an ALQ listee are very glad that we are among good and reliable law firms and collection agencies. Our appreciation goes to Tom and his great team for their excellent and quality service and dedication to their listees. We highly recommend ALQ as an excellent source of generating business. Our firm has been on ALQ for over 35 years. My associates and I find the agencies and attorneys who send legal work over ALQ are top quality and very supportive in prosecuting their cases. ALQ referrals make handling cases easier. ALQ continues to be my exclusive resource in forwarding collection claims for litigation as an agency principal, outside counsel managing litigation for trade creditors, and as independent legal counsel for a variety of business clients. Early in my career, ALQ personnel helped me understand both the mechanics of engaging local counsel – who, where and how – and the practical elements of establishing good working relationships within the Triadic System. Many years later, those relationships are still valuable elements of my practice. The friendly, efficient and proactive service Tom Hamilton and the ALQ staff provide make my work easier, and my work product more effective for my clients. ALQ is the dominant competitor in its market space for very good reasons. In our current collection environment, things are much more difficult, that is why having partners you can depend on is essential. My firm has been listed with ALQ for over 30 years and consider them one of our most valued partners. Jeremy and everyone else at ALQ has helped us in numerous instances meet new potential clients and also grow our relationships with our current clients. We look forward to working with them for the next 30 years and beyond. On a recommendation from a mutual client, we contacted Tom Hamilton at ALQ. We have now worked with them for over 10 years. Tom's staff are the utmost in professional. They have always worked with us to help us improve our business and land new clients. I have found them fair to work with and quick to resolve problems. It would be a mistake to not work with ALQ. The loyalty that they afford their clients is second to none. No matter how remote the area, the ALQ always has legal representation ready and willing to assist with our collection needs. Our office has been with ALQ since 2011. They have always been a good and consistent source of referrals, and a valued partner in our collection practice. There is no better resource in the field, and we look forward to a continuing relationship for years to come. Years ago when my partner and I got into the area of Creditors’ Rights we were directed to Tom and Nancy Hamilton of ALQ. The assistance they gave us was incredible. They went out of the way to introduce us to people and companies that matter. We consider them friends as well as valuable business associates. While the industry has changed they too have adapted to those changes. A valuable and worthwhile investment — The ALQ. Thank you Tom and Staff, I was introduced to American Lawyers Quarterly in 1995, as a professional collection agency in Pompano Beach, Florida we began placing files our clients elected to file suit on in 1996. Over the years other 'Books' have tried to solicit our business and I will admit we have tried them and always returned to ALQ, remember, the grass is not always greener ... The quick attention paid to assisting us with a situation, aiding us with placing a particular file with the exact attorney, shows the level of professionalism their team portrays. In addition, I would like to thank all of the attorney's we use for their understanding of our client's demands and for providing prompt attention to all of my requests. The quality of firms who list with ALQ is one of the reasons after 18 years we still use them. The online placement via their website is second to none and streamlines our productivity when placing. We have enjoyed a strong business relationship with ALQ for 65 years. We rely on them to recommend quality collection attorneys throughout the United States. ALQ provides a wealth of useful information on its listees which assists us in making intelligent decisions on whom to forward work. We find their listees to be knowledgeable, responsive and high performers. I thank you for your proactive approach with your clients on finding suitable attorneys, following up on the same, and keeping a very good relationship with your clients by helping us find attorneys in different States. We appreciate your work. Keep it up. I have known Tom Hamilton for decades and he has always been friendly and professional to me and my law firm. He was instrumental in providing our firm with many collection claims over the years and helped market our firm through his law list and the Commercial Law League Of America. I don’t know of anyone in the law list business or in the law league that has been more helpful over the years. Since the opening of my law firm last year the entire team over at ALQ has been nothing but supportive and helpful in providing solid referrals and introductions with potential clients. In particular, I have worked closely with Jeremy Brown for years and can speak to the value he brings to the collection industry. A big part of my firm’s success is definitely due the great work that Jeremy, Tom and Nancy each have done for me! ALQ is an essential partner for any law firm focusing on debt collection. During our 35 years in the commercial collection industry, Commercial Collection Consultants has relied on the ALQ as our source for quality attorney representation around the world. The ALQ staff are always accessible and if you need their assistance we can always count on them to follow up with a resolution. Tom and Nancy Hamilton are leaders in our industry and we truly value their organization and their friendship. We have been relying upon the ALQ List for 40 years both for referrals to us and for the ability to refer to other professionals around the country. We have found the List to be both accurate and reliable. In addition we are grateful for the help we get in locating specific professionals for specific problems in different areas of the country. Truly a great resource! We have been listed on ALQ since I passed the bar exam more than 30 years ago. We always turn first to ALQ when we need help in another jurisdiction or when one of our clients needs a referral. Tom and his staff has always been great to work with and quickly responsive whenever we need his help. — Jeffrey A. Maidenbaum, Esq. Maidenbaum & Associates P.L.L.C. Merrick, N.Y.
ALQ has listed our firm and its antecedents for nearly a century. In all that time ALQ has never failed to generate for us a significant return on investment even in fallow years. Though the market has transformed over the decades, ALQ's devoted staff have always maintained their status and reputation as a first rate networking resource. — Robert M. Morris, Attorney, Morris & Adelman, P.C., Bala Cynwood, Pa.
ABC-Amega, Inc. has been doing business with ALQ for longer than the 34 years I have been with ABC. They have always handled every request we make of them in a timely, efficient, professional manner. Their listees are top notch and service us and our Clients in the same way ALQ services us. As you can imagine in this industry, we've had a couple of dicey situations to deal with over the years, but ALQ has always come through for us and our Clients with flying colors. Thanks to Tom and Nancy and the entire staff at ALQ for making our lives a bit easier and more enjoyable. — Bob Tharnish, Vice President, ABC-Amega Inc., Buffalo, N.Y.
For over 40 years I have relied on ALQ to provide my firm with recommendations as to local counsel. Never, and I mean never, has a recommendation faltered. More importantly, the friendships which have developed with ALQ listees, as well as with Tom and Nancy, have provided warmth and comfort, in an otherwise cold, chaotic world. Tom and Nancy, the entire Muller Firm would like to reach out to you both / ALQ and thank you for such an excellent business relationship which has turned into a cherished friendship. Being a Listee of ALQ has resulted in good fortune, we honor and look forward to our continued relationship. When I first opened my practice 20+ years ago, ALQ was one of the first law lists I joined. I am still with them and going strong. Through the ups and down of the economy, ALQ has always been there to support my firm and introduce me to long lasting contacts and relationships. From time to time, I optimize my firm for greater efficiency and review the performance of my law lists. Based on my review, ALQ is an essential partner for any collection base law firm. ALQ's strong reputation throughout the world, Tom and Nancy Hamilton’s vast contact base, and ALQ's introductions to new clients and contacts keeps ALQ always on the top of my list. Barnett & Garcia would not be as successful as they are today without the ALQ. Our firm has partnered with ALQ for many years, and we feel fortunate to work with their helpful and knowledgeable team. Brumbaugh & Quandahl recommends ALQ and their services. In the world of Credit and Collections, you hear it all. You get Numerous calls daily with various promises to make your collections life better. I will testify to anyone who is looking to use the Forwarding services of American Lawyers Company - "IT WORKS". You get up to date information on your attorney network and, should this not be enough, American Lawyers Company staff is always available to talk with. 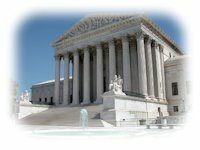 The ALQ www.alqlist.com directory has been the definitive source for URS’s attorney representation in the collection industry. We want to take the opportunity to thank American Lawyers Company for their excellent customer service. All of the American Lawyers Company representatives, are constantly courteous, informative and resourceful. We also appreciate the staff at American Lawyers Company for always treating us as a top notch client with respect while successfully implanting Forwarding for my firm. I highly recommend using American Lawyers Company. I have been a listee of ALQ since 1988. It has been a good source of referrals from Fortune 500 corporations and national insurance companies since the beginning of my listing, even in the lean times. Our firm has enjoyed a long beneficial relationship with ALQ. The list brought us many important contacts in the credit and collection universe. For those who want to do business in this area the ALQ list is an important partner. At the high level of work I do internationally, ALQ has been able to connect me with international legal assistance worldwide. Without a doubt, they have provided an extremely valuable service to my company and I use their resources nearly every single day. ALQ; an outstanding partner. We have enjoyed a collaborative and productive relationship with The American Lawyers Quarterly for decades. As one of the largest forwarders of commercial accounts in the marketplace, we have long relied on ALQ's leadership, guidance and support to identify and build relationships with qualified local counsel to represent our clients' interests. The attorneys listed with ALQ are among the most knowledgeable and capable in the commercial credit community. When we have had a need for alternate counsel, either due to a conflict or transition in the local marketplace, ALQ has responded quickly and effectively to address our need. We have been especially grateful for ALQ's prompt and tireless assistance on complex and problematic servicing challenges. Based on our experience and satisfaction, we plan to continue forwarding over The American Lawyers Quarterly as one of our preferred lists. — Timothy J. O'Donovan, Esq., VP — Commercial Operations, Receivable Management Services, an iQor Company, Naperville, Ill.
20 years ago, Beau Hays and I took a leap of faith and decided to begin a commercial practice together. One of the first things we did was to attend a CLLA meeting in Chicago. At that meeting, I had my first introduction to the ALQ list, meeting Tom and Nancy Hamilton. Upon returning to Atlanta, we signed up for the ALQ listing and have continually been in the ALQ to this day in our present firm. Through the intervening years, ALQ has been a valued partner to our business, providing referrals and introductions to new contacts and sources of revenue. With the addition of Jeremy Brown to ALQ’s team, their commitment to our firm has strengthened. But, above and beyond the business relationship, I count the people at ALQ as friends and colleagues, whose help and encouragement have been a pillar of support through the years. ALQ has been a trusted industry partner and has been in our corner for many years. Whether as a forwarder or as a receiving attorney, ALQ has been an invaluable resource in the growth of our practice. Tom and Nancy with their many years of service are respected leaders in the collection industry. They can be counted on to provide an introduction, to assist in forming new relationships and help foster existing relationships. Our office has been working in the collection industry for over 12 years. We have utilized American Lawyers Quarterly since the beginning. American Lawyers Quarterly has a very user friendly website, knowledgeable and friendly staff, and is an excellent resource when attempting to locate an attorney anywhere in the United States. My office, as well as my clients, take comfort in knowing that each attorney listed with American Lawyers Quarterly is reputable and bonded. We are so pleased with American Lawyers Quarterly and look forward to working with them for many more years to come. I have been working with ALQ for over 25 years, and I have always found them to be extremely helpful and hard working. ALQ has been a valuable source of new business and a resource for locating counsel out of town. Jeremy Brown is a pleasure to work with. For the past 31 years, our agency has experienced the top notch and excellent professional service of ALQ. Their staff has provided great friendship along with their dedication to helping us get the job done. ALQ has been instrumental in helping me to initiate my collection practice. Although we have worked in this area for years for various bank clients, ALQ, and in particular Jeremy Brown, advised and guided me as to the procedures for participating in the CLLA and working with agencies and clients. ALQ’s expertise and insight have greatly assisted me in establishing the practice and they all continue to work with me in forwarding business and advice. Over the almost 100 year history of our agency (United Mercantile Agencies to the current Euler Hermes Collections North America), ALQ has provided us with quality attorney representation for our commercial clients. We appreciate the continued high level of service and look forward to a continuing relationship in the decades to come. — Ronald H. Stiegel, Chief Operation Officer, Euler Hermes, Louisville, Ky. Being listed with ALQ for almost two decades, as international listee in France, I believe I have some hindsight on the level of professional services provided by ALQ. ALQ is clearly THE reference in the debt collection industry and THE list to go to when selecting an attorney. It is also a great resource for my daily practice in terms of referrals, which have always increased over the years through my listing with ALQ, as well as a wonderful resource for professional networking in the industry. I can only but recommend ALQ. American Lawyers Quarterly has consistently provided our law firm with quality commercial account placements for many years. We rely upon American Lawyers Quarterly for a steady stream of commercial account referrals, appreciate our long affiliation and hope to for many years to come. The ALQ, Tom and Jeremy are a valuable source for referrals and forwarding of commercial collection litigation matters. My current firm and predecessor firm have relied upon the ALQ for decades. I have been an ALQ listee for over thirty (30) years with a concentration in Commercial Collections/Commercial Litigation. Both Tom and Nancy have been extremely helpful in the thriving of my law practice. I look forward to continuing our mutual relationship. Thomas & Thomas has been a listee with ALQ since my grandfather was practicing in the 60s. I remember Tom, Nancy and their capable staff, helping me meet people and make strategic alliances since I got involved with the firm in the late 70s. Our firm has grown and endured with the help of ALQ, and I have made countless friendships as a result of Nancy and Tom's commitment to their business partners. ALQ is a gem in the collection industry! We took a little time to finally decide to sign-up with ALQ and the only regret we have had is that we did not do it sooner. ALQ has already referred a few clients to us and helped us grow our practice. Unlike some of the other companies in the field, they do an excellent job of not only being responsive, but also proactive in ensuring we are getting value. We look forward to continuing our relationship with ALQ. ALQ has been a great resource to our firm. Tom and the ALQ team are always responsive and professional. Our firm would recommend their services and law list. I have been a listee since the mid 70's at the suggestion of what was to be become my oldest collection client and who became a personal friend. ALQ is the only list I subscribe to and the relationship with Tom Hamilton was, is and always will be the best decision I ever made in the development of my practice. When you get a chance to drive a Bentley, you drive a Bentley. I met Tom Hamilton of ALQ at a Commercial Law League of America Meeting over 25 years ago, when I first opened my law practice as solo practitioner. Tom has been a both a mentor and friend. ALQ has referred to our firm many great clients over the years. One of the true values of the ALQ relationship is the tribal knowledge that they offer, the relationships that they can help build, and the coaching they provide on how to meet and exceed client expectations, especially difficult clients. Our firm has grown substantially over the years, and we pride ourselves on our creditor's rights practice. ALQ is, and remains, the gold standard. The ALQ team is constantly looking to help our law firm thrive in a challenging legal landscape. I have been a partner in two separate law firms over the past 40 years and have maintained a listing with ALQ that entire time. I have found that listing to be invaluable. We are on all the major lists & I can say without any hesitation that there are none better. They are very professional & maintain the highest ethical standards. Whenever I have had a problem dealing with a forwarded claim or a claim received they have been extremely prompt in getting it taken care of. I could not ask for or expect any better service. They are a very high quality organization. ALQ has provided us with a wide network of law firms and collection agencies over the years. This enables us to establish partnership with the members listed and assisting one another with cases where we can tap onto members’ expertise and experiences geographically. The “foreign statute of limitation” link is one feature that is especially useful as we can use it to determine whether the cases assigned can be worked on. We will not hesitate to encourage more partners to join ALQ. We are fortunate to call ALQ a partner in managing client relationships and risk, and advising on out-of-state placement of claims. As an industry leader, ALQ is an essential resource for collection industry professionals. Tom and Nancy Hamilton are our strategic partners in the collection industry. Their wealth of knowledge, experience, and service is invaluable to the team at CAB. Thank you! We consider the ALQ to be our partner in the triadic system. Tom, Nancy and Jeremy have frequently recommended our firm to agencies, helped us make important introductions at conferences, provided us with leads through e-mail correspondence, offered advice on our coverage of the state and have continually kept us updated about changes in the collection industry. Whenever we have a collection-related issue, we can count on the folks at ALQ to promptly address our concerns. We value and respect the 75 year relationship our firm has enjoyed with ALQ. — Joseph M. Shur, Esquire, Relin, Goldstein & Crane, LLP, Rochester, N.Y.
ALQ has long been a foundation for our firm's commercial business, and continues to be integral in maintaining old, and establishing new business relationships throughout the industry. We greatly value Tom, Nancy, and Jeremy's support throughout the years, and going forward. We truly view ALQ as our partners in the commercial collection industry. — Neil Sarker, Esquire, Burton Neil & Associates, P.C., West Chester, Pa. I have always been very impressed with Tom Hamilton and the ALQ Team. They have consistently supported our efforts to work with other commercial collection attorneys and agencies in the U.S. and around the globe who need our collection assistance throughout Europe. I greatly appreciate all that they offer which has tremendously enhanced our business. Our law firm has handled commercial collection claims for more than 40 years. Over that time we have appreciated ALQ's recommendations in both forwarding and receiving claims and the excellent service they have provided. We feel a personal as well as a business relationship with Tom and Nancy. Keep up the good work. Our firm is proud to have been an ALQ listee for over 40 years. Throughout that time ALQ has helped us grow our practice by introducing us to new sources of business and by assisting us when we need to locate well respected, competent collection counsel in other states. Tom and Nancy Hamilton are true leaders in our industry and the service we receive from them and their staff is first rate. I have had the privilege of being an ALQ forwarder for 45 years. It was ALQ's representative who not only introduced me to the ALQ Law List, but was my sponsor to the Commercial Law League back in 1967. Since then, their listees have given us the genuine partnership of agency and attorney, through their professionalism, code of ethics and expertise. Supporting all of this is their service department, second to none, making ALQ number one in our industry. — Dominick A. Longhi, President and CEO, DAL, Inc., Clifton Heights, Pa. I am always confident with the quality of candidates that ALQ supplies along with the excellent service that they provide consistently and on an ongoing basis. I am thankful for the staff and their professionalism. ALQ has been a go to source to find local attorneys for years. In addition, as a law firm that handles the whole State of Wisconsin, ALQ has been a regular source of new business. If any problem ever arises regarding an ALQ forwarded claim they quickly and effectively provide help. — William A. Rinehart, Attorney, Rinehart, Scaffidi & Mathews, Milwaukee, Wis.
My experience with the ALQ list started in the late ‘60s when I worked for Irving Brandwein a collection attorney and his wife with an office on lower Broadway while attending NYU. It was normal for the office to have papers everywhere, like most any office at the time. One afternoon, I arrived after class to one of the cleanest offices ever, no papers and files in sight, everything put away right where it should be. The place had been cleaned to where it shined. I asked my boss what the deal was and he informed me that he expected a visit that day from Harry Benson Meyers, the representative of a very prestigious law list. To an inexperienced kid like me (21 years old at the time), I did not understand the role of a law list in the collection industry. After Mr. Meyers had left, I learned that the ALQ was an extremely important part of the industry that only listed premier law firms. If Mr. Brandwein was around today, he would still hold the same opinion as he did in 1968, and that I myself have come to share as well. The ALQ list is a vital part where business referrals and customer service is concerned. Although almost 50 years have passed since my first introduction to ALQ, my opinion of them has not changed. The people there continue in the traditions of Harry Benson Meyers, which is why I knew when I started my own law firm, I had to do everything I could to be listed on ALQ. While it took me 6 years to make it happen, I have been a proud member since 1980. As a lawyer specializing in debt collection for Chinese exporters, an ALQ listee is always my first choice when local counsel/contacts is needed. Thanks to ALQ's invaluable assistance, I am now widely recognized by Chinese exporters as an international debt collection lawyer. Our firm has been an ALQ subscriber continually since 1969. At that time, there was a limit to the number of firms in a single city, but since they were having service problems with a Columbus firm, and since they have always looked out for the interests of forwarders and creditors first, ALQ added us. We have had a close professional relationship in the ensuing 45 years. We are proud of our association with ALQ. As someone who has been in in the industry for a relatively short time in comparison with my peers and competitors, I sometimes feel like the odd man out. That has not been the case with ALQ, with their new acquisition of Christopher Pona ALQ has demonstrated their foresight in evolving to keep pace in the changing climate of our industry. I am the little guy in town, yet Nancy, Tom and the entire team treat us like their big fish in the sea. Whatever our needs: From help with a listee, to finding an attorney in a remote location, they are always happy to help me. And never afraid to tell me if they have limited experience with a listee, or whether they highly recommend one. I so appreciate their honesty in all my dealings that it makes it a pleasure to do business with them. — Meg Scotty, President, Brennan & Clark, Ltd., Villa Park, Ill. I became aware of the triadic system and the ALQ when I was employed as a forwarder in a commercial collection agency. As a commercial forwarder, I sent claims to lawyers to be bonded over the ALQ and several other law lists. The ALQ stood out because of the knowledge of the industry that Tom Hamilton and staff possessed, the professionalism of their organization and the quality of law firms listed on the ALQ. In 1996 I was first licensed to practice law and definitely wanted to be listed in ALQ. Tom Hamilton graciously accepted our request for a listing of Philip D. Collins & Associates, P.C. In addition to playing a very important part in my transition from forwarder to receiver, the ALQ has been a consistent source of commercial business over the many years that followed. I am very thankful to Tom, Jeremy and the entire ALQ staff for their help and look forward to continuing our relationship with ALQ. CST Co. has worked with American Lawyers Quarterly for many years. I have found ALQ to show a keen interest in making sure our clients are well represented by the attorneys we use over this list. ALQ has proven many times over that we get real value in utilizing their services. — Pete Roth, President, CST Co., Louisville, Ky. I have been working with ALQ for over 5 years, and they have always been responsive, hard working, and helpful. ALQ always tries to introduce me to potential business for my firm. Jeremy Brown has always been a big help. I look forward to many more years working together. ALQ has been a go-to resource for Bessenbacher since our founding in 1933. The attorneys they list are top notch, and if we ever need assistance, the ALQ staff is extremely prompt and efficient in resolving all matters for us. The ALQ makes themselves available at all the association meetings we attend, which helps to forge stronger than usual relationships with them and their listees, and that makes doing what we do in the commercial collection business a whole lot easier. — Jim Bessenbacher Jr., The Bessenbacher Company, Kansas City, Mo. I've spent 30 plus years representing clients in Bucks and Montgomery Counties, Pennsylvania. ALQ is the ONLY list you need: They are the gold standard and provide instant credibility and professionalism. In the business of debt collection the creditors I represent count on my company to not only produce good results but to also provide value added good quality service. For the past 40 years the professionals at the American Lawyers Company have helped my business to do just that by listing and bonding top quality legal professionals. If and when I experience any problem with a lawyer listed with ALQ I know that I can count on ALQ to resolve it. — Jon R. Lunn, Chief Operating Officer, Sko Brenner American, Baldwin, N.Y.
Our office has been a listee on ALQ, for over 40 years. ALQ has been a valuable source of business for us as well as a helpful resource for our own referrals. When I needed help recently finding associate counsel for a large out-of-state referral, Tom Hamilton, as always, was quick to respond and connect me with the right lawfirm to help me out. As I told Tom at the time, "You guys are the best. Our company has been utilizing American Lawyers Quarterly for over 15 years to help build our network of collection attorneys. From the start, they took the time to learn the type of attorney we liked to work with and have always matched us with a firm which meets that criteria. If there has ever been a problem or issue, they have always been very prompt in addressing our needs. Over the years we have developed a great partnership with Tom and Nancy Hamilton and their staff and would recommend the ALQ to anyone looking to build a solid network of collection attorneys to represent their clientele. — Tony Terry, President, CRF Solutions, Simi Valley, Calif.
Due to a recent change, we decided to look at other options relative to placing and bonding our commercial accounts. We wanted to be sure that the attorneys we used were reputable, that we receive excellent customer service, and that placing accounts would be easy and efficient. After doing some research, it was clear that the ALQ was the direction in which to proceed. We received nothing but positive feedback about the ALQ from the law firms that we presently utilize. We also found that their website was very easy to use and had added features that would benefit our company. We are extremely pleased with the communication and customer service that the ALQ provides and look forward to working with them for all our future commercial collections. My law firm has been a user of ALQ for over 80 years. Continued use of their services for that period of time indicates a very high level of satisfaction. We have always found their referrals and level of service to be among the best in our industry. On a more personal level, having a drink with Tom and Nancy is worth the price of admission. Our agency has proudly served the Business Community since 1964. We have worked with American Lawyers Quarterly since the beginning. American Lawyers Quarterly is a resourceful asset to our company, as they help us find great attorney’s located throughout the United States. Also, they are always very responsive and quick to help in any situation that may arise, as well as, helping with attorney communications. American Lawyers Quarterly has been fantastic for our Agency and we plan on working with them for many more years. Tom, I just finished reading your newsletter "The Eagle" and must commend you on another innovative addition to your already ALQ stable of services. As you know we have been an ALQ customer for over 40 years and can't begin to tell you how important your publications have been to the growth of our industry. From the quality of attorneys, the speedy responses to service problems and the general updates of our industry, your company continues to support a large and important part of our business. I am constantly amazed at your travel schedule where you vet out attorneys throughout the country and beyond. You knowing your listees gives us the confidence in selecting them to handle our business. I am confident we have another 40 years together and look forward to the future of our respective businesses. — Bob Ingold, President, Commercial Collection Corp. of New York, Tonawanda, N.Y.
After relying on the ALQ to connect us with highly qualified domestic legal referrals for many years, we have found them to be even more instrumental in recent years when providing excellent referrals throughout the world as we have embraced the Globalization that has taken place within our industry. The ALQ has shared with us their unique prospective on international collection practices and the attorneys who are most equipped to represent us in over 75 countries across the globe. We have forged a lasting partnership with the entire ALQ team over the past 30 years and will continue to count on them to bring the best legal talent to the our attention in the years ahead. — Robert Lenardson, President, Commercial Collection Consultants, Inc., Encino, Calif.
ALQ and the entire ALQ team have been a tremendous resource for STA International. We're grateful that we never have to resort to "choosing blind" when it comes to finding someone in an area where we have not previously done business. A single phone call or email and we've always gotten a quick response and recommendation for reliable representation. Additionally, the $3.5 million bond provides an extra level of security to our clients when we recommend that a file gets placed with outside counsel. Thanks to Tom, Nancy and the entire staff for the great work that you do for us. — Walt Lockhart, Chief Operating Officer, STA International, Westbury, N.Y. The ALQ has been a great asset. Whenever we need an attorney, or assistance with a file, or anything else for that matter. Tom and the entire staff at the ALQ are always available and willing to assist. Not once in six years has the ALQ been anything but exemplary! If any of my colleagues were to ask for a reference, I would tell them to contact the ALQ. — Tim Grimes, Legal Director, Randall & Richards, Inc., Tucson, Ariz.
ALQ is a key partner to our agency when it comes to legal forwarding. If we need a new attorney for a new area or a replacement law firm, we call ALQ for a personal referral. We have found that the attorneys referred to us by ALQ have already been vetted and are proven performers in our industry who understand our business and provide service/updates on a regular basis. If we have a problem with a particular attorney, ALQ is more than happy to investigate and find a solution to the problem at hand. The bonding program through ALQ offers a $3.5 million dollar bond which gives both our agency and our creditors peace of mind when it comes to referring their work out to a national network of attorneys. We have won new business because of this bonding insurance, which tells you how important it is to many creditors. Finally, ALQ also has a great Service department in Cleveland to field any questions or issues that may arise in connection with a file placed with one of their listees. This department answers questions and inquiries from both forwarders and receivers, and it is in their best interest as well as their desire to be sure that the working relationships between forwarder and receiver are strong, long-term and problem-free. — Lee VandenHeuvel, Ross, Stuart & Dawson Inc., Auburn Hills, Mich. I've been listed with ALQ since I started my collection practice over 15 years ago and it's been one of the most valuable relationships I've had. At professional conferences, Tom is always available to discuss new business opportunities or to help out with special problems. When local colleagues ask me for an out-of-town referral, I do not hesitate to consult the ALQ. — Stephen A. Bernheim, Attorney at Law, Edmonds, Wash.
What a wonderful tool their newsletter is for keeping abreast of what's going on. Just another fine example of the "over the top" service provided by ALQ, in their continuing effort to keep agencies, legal practitioners and the community they serve well-informed about events relevant to all of us....Keep up the great work! — Martin Goldman, Law Offices of Martin F. Goldman, Encino, Calif.
Our law firm of twenty-seven attorneys plus support staff has been a listee of ALQ since our firm began in 1937, when our firm's founder, Marvin Kohner, was a sole practitioner. We can vouch for ALQ's attention to selecting qualified listees. Indeed, when we require the assistance of counsel outside the State of Wisconsin, U.S. District Court, or U.S. Bankruptcy Court geographic practice areas, we regularly consult the American Lawyers Quarterly Directory of Collection and Bankruptcy Law Firms. We consider Tom and Nancy Hamilton and the ALQ staff as an important resource. I have used Tom Hamilton's ALQ lawyer referral service for many years. It has always provided me with valuable information and helped establish quality business relationships. Not too long ago one of those relationships became problematic. It was at that time that both my client and I were thankful we had the protection of the ALQ's Bond program and the personal service and attention that Tom provided. The ALQ's Bond program paid the claims, provided us with security and peace of mind, protected our financial resources and preserved and enhanced our client relationship. I am grateful that Tom and the ALQ were there when we needed them. ALQ has been an institution in the industry for the past 40+ years. The principals, Tom and Nancy Hamilton, are recognized as two of the industry leaders – both in terms of knowledge and service as well as integrity and professionalism. They have always been candid and forthright leaving me, as a customer, very assured of excellent service. In those rare instances where we have needed their support with local counsel they have been more than responsive. In summary…exceptional service, exceptional people. ALQ has provided exceptional service to our agency since we shifted our focus towards the legal collection market. They are in touch with the firms and agencies needs and do a thorough evaluation before any recommendation. The screening process ALQ employs cuts down on the interview process and ensures the agency is provided with a list of potential firms that fits their needs. ALQ provides excellent customer service and experience… the staff is always accessible and welcoming. You can always trust the folks at ALQ will treat the relationship with the utmost importance and care. — Noubar Assadourian, JD Vice President - Operations, American Recovery Service Incorporated, Thousand Oaks, Calif. I have been the supervisor of legal forwarding for Johnson, Morgan & White for the past 4 years. At the start of my position, the ALQ staff was extremely helpful with both forwarding out cases and recommending attorneys in new areas. In the few issues our agency has had with listees, Tom and his staff have been extremely pro-active in seeking and obtaining resolution. We also forward numerous claims internationally and the recommendations of the ALQ staff, even in remote parts of the world, have been excellent. ALQ has always provided us with quick, great service and I would highly recommend ALQ to any forwarders and attorneys. — Stacy Finkelstein, Supervisor of Legal Forwarding, Johnson, Morgan & White, Boca Raton, Fla.
ALQ'S service is second to none. I have been consistently impressed with the personal attention afforded my firm with any requests made to ALQ, and with ALQ's ability to exceed my expectations. They understand what it takes to develop a practice, and they have connected my firm with new business to meet my firm's goals. The return on my investment in ALQ remains unmatched. ALQ has long been recognized as a leader in the law list publishing industry. ALQ's depth of experience, responsiveness and outstanding customer service made the company a pleasure to deal with. ALQ has always been one of my top performing lists. The staff and especially Jeremy take a personal interest in my account and make sure I’m getting a steady supply of new referrals and claims. Affiliated Creditors has been utilizing the services of ALQ for over five years. We send cases for legal action in many different states. The reason we like using ALQ is that we are bonded to minimize losses. We have had an excellent experience with ALQ. We usually ask ALQ to recommend one or more legal firms, especially if we have had no previous experience with a firm in the area. The assistance of ALQ has been invaluable and we look forward to a long-term working relationship with ALQ. We have been associated with the ALQ for over 27 years. During this time, the ALQ has provided us with professional and courteous support. They have consistently displayed an exceptional attitude and met all our company’s needs. The ALQ’s professional support has been critical to our success. Thank you for your help and service. I’ve been using ALQ for collection matters for over a year now, and its resources and vast list of informed attorneys greatly increases our chances of recovery. Thanks for your help! Ultimately, the most important thing that a law list brings to the table is service. Over our long history with American Lawyers Quarterly, it has become undeniable: The ALQ is the gold standard for what a quality law list should be. We consider them a true partner in the success of our practice. Anytime that I have a problem area – ALQ always finds me a good attorney to handle my case. I want to thank my friends at ALQ for the great service over these many years!! We began our relationship with ALQ back in 2012 and have been very pleased with working with them. Our work is not your standard run of the mill collection paper but they’ve done a good job of identifying our needs and helping to build our network putting square pegs in square holes. We feel fortunate to have them as a trusted partner and ally with our legal forwarding and network. We were introduced to American Lawyers Quarterly in 1995. We are a professional collection agency in Pompano Beach, Florida and began placing files our clients elected to file suit on in 1996. Over the years other “Books” have tried to solicit our business and I will admit we have tried them and always returned to ALQ. The grass is not always greener. The quick attention paid to assisting us with a situation, aiding us with placing a particular file with the exact attorney, shows the level of professionalism their team portrays. In addition, the quality of firms who list with ALQ is one of the reasons after 18 years we still use them. The on-line placement via their web-site is second to none and streamlines our productivity when placing. They give each day their usual 110 per cent, with all the synergy and paradigm shifts that such an event calls for. They bring on their A Game, gather up all that low hanging fruit, and at the end of the day they push the envelope, take it to the next level, hit the ground running, are always proactive, manage our expectations, make friends with the 800 pound gorilla, stop putting lipstick on that pig, expand our bandwith, realize it is what it is, step up to the plate, raise the bar, and remember most of all that the scenery only changes if you are the lead dog. We know how busy they are, but they always work for our best interests, always doing what they do best, which is thinking outside the box, bringing lots of value to the table. And that pretty much sums up the ALQ. Our firm has been using ALQ for almost 10 years and there is a reason they are our first source when we need a referral. Not only have we found bright and professional attorneys through their List but we have found ALQ’s administrative staff to be a pleasure to work with. It’s really been my pleasure over the last 35 years to deal with Tom Hamilton and the ALQ. Knowledgeable of the industry and it’s ever developing issues, accessible when needed and always gracious. I’m grateful and look forward to a continued relationship. Thanks! As the years have turned into decades, our firm has greatly benefited from its association with ALQ. We have consistently received referrals and introductions which have paved the way to long-standing client relationships. ALQ’s high level of commitment to each business opportunity has remained impressive and we look forward to working with ALQ for many more years to come. ALQ has been instrumental in the growth of my Firm. From the beginning of our affiliation, ALQ has given me positive professional exposure among individuals and entities in need of our services, who might not otherwise have connected with my Firm due to geographic distance and other barriers. We are certainly appreciative of the work ALQ has done thru the years on behalf of my Firm. Our firm has been listed on ALQ since 2004. ALQ has consistently exceeded our expectations with respect to new client referrals and ongoing customer support. I would recommend ALQ to law firms seeking to increase quality business, and creditors seeking a reliable and professional partner. We have been working with ALQ for over 10 years and they are a fantastic company to deal with. They are very responsive with any questions or concerns that arise. I would recommend ALQ over any other law list! ALQ has no competitors in the law list industry. We have utilized their services exclusively since 1976. The ALQ track record of excellence began in 1899. 115 years of service speaks volumes. Easily the best of brand. The thought of maintaining a steady referral stream was the most terrifying aspect of developing my own practice. Thankfully, I stumbled upon ALQ within the first year of going solo. The consistent support and service provided by ALQ has delivered results, both financially and psychologically. During these difficult economic times, Jeremy has come through, time and again, with quality referrals at critically important times for the stability of my firm. I can honestly say that I can rest a little easier knowing I have ALQ actively promoting my office to reputable industry forwarders. ALQ continues to be a vital component for the ongoing success of my office. Words cannot express how grateful I am to have them in my corner! Law lists are a necessary participant in the collection process for collection agencies such as JAM Collections and Castle Collections. In the 35 some odd years that I have been in this business I have never previously experienced such a professional and responsive organization as ALQ. It is an absolute pleasure to do business with you. Our agency has been using American Lawyers Quarterly since we opened shop in 1973. There were occasions in the past (though rare) that I needed an attorney in a remote part of the country, and Tom Hamilton and his able staff helped us to secure legal representation for our client. Thank you ALQ. ALQ has been a real pleasure to work with throughout the years. They consistently introduce my firm to new sources of business. They handle every new relationship and business opportunity with the requisite skill and care that shows that they care about your business and your success. ALQ is a great resource for locating potential firms in the industry as a forwarder. We have developed many profitable relationships over the years thanks to ALQ’s recommendations. Our firm has been listed on ALQ for years and we are extremely satisfied with the services provided and the results we get from them. ALQ is always helpful, supportive and responsive to our requests. We receive quality claims from forwarders using ALQ and ALQ makes the extra effort to introduce us to potential clients. ALQ remains an integral part of our business relations in this industry and we truly value our relationship with them. Thank you for providing such excellent services! ALQ has been a great asset to our company. We have been in partnership with ALQ for over 100 years and rely on the ALQ directory to provide us with attorneys who specialize in all aspects of commercial collection. Definitely the premier referral list in the industry. After a long day of traveling to conferences I attend across the country, I always see Tom and Nancy or Jeremy smiling at me from across the room at the opening cocktail reception. It is so refreshing to have a friend after the hustle and bustle of the airport. As I make my way to greet them, it is always warm and inviting and without hesitation they make a point of introducing me to whomever they are talking to at the time. Through ALQ I not only have developed new clients, but have also made new friends. I've been using the referral service of American Lawyers Quarterly for over ten years and am very pleased with the results. I currently have 13 attorneys outside Kentucky, Indiana and Ohio to whom I routinely refer cases. These attorneys have an outstanding recovery rate. This, of course, also pleases my clients. Jeremy Brown at ALQ has always been prompt returning my requests for new contacts. I'll continue to use ALQ as long as I need new attorneys in other states. Jeremy Brown and the ALQ have been faithful partners with my firm. The ALQ is better by far than traditional forms of advertising and provides so much more than business leads. From day one, the ALQ has provided a steady stream of solid business from commercial forwarders, and the nominal listing fee is worth every penny. WCS's first choice for our Attorney referral and Attorney bonding needs has always been the ALQ. Through the years we have always benefitted from their quick, reliable, and trusted input. ALQ has been an integral part of our firm’s growth over the past 12 years. Not only has our listing in their directory driven business towards our firm, but they have made a concerted effort over the years to introduce our firm to credit grantors, collection agencies and other forwarding attorneys when we are at various industry conferences and events. Jeremy Brown and others at ALQ are always available to answer questions regarding a potential client and are always looking to refer new clients to our firm. We are thankful to ALQ for the support and guidance they have given us over the years. The American Lawyers Quarterly Law List has been of invaluable assistance in obtaining foreign counsel and contacts, enabling us to maintain our reputation as an internationally recognized full service debt collection firm. The ALQ has not failed to find competent counsel overseas through their extensive contacts. We appreciate the efforts that they have gone through to help us. — Barry S. Gersten, President, Seair Consultants, Inc., Fort Lauderdale, Fla.
ALQ's service is top notch. As a relative newcomer to ALQ, I am consistently impressed with ALQ's ability to exceed my expectations. They understand how I want to develop my practice, and connect me with new business to meet my goals. The return on my investment in ALQ remains unmatched. — Shawn Key, Attorney at Law, The Key Firm, PLLC, North Little Rock, Ark. The Sigmon Law Firm, P.A. is pleased and proud to be a partner with ALQ as a listee here in North Carolina. We receive a significant number of good quality claims over ALQ on a regular basis. We have found over the many years of our association with ALQ, the forwarders sending claims over the list are some of the most professional agencies we deal with. We value our listing with ALQ and appreciate the services they provide our firm. — C. Miller Sigmon, Attorney, The Sigmon Law Firm, P.A., Raleigh, N.C.
ALQ has consistently provided UMC with the best possible creditor's rights legal representation available. On those rare occasions when we needed help getting a status report, their service has been outstanding. We highly recommend ALQ because of the quality of the listees, their outstanding service, and the best bond in the business. — Roger W. Devonshire, President, UMC, Allison Park, Pa.
Altus Global Trade Solutions, as a leader in commercial collections, pursues the mission to provide our clients with responsive worldwide receivables management solutions while adhering to the highest professional and ethical standards. ALQ provides dual support to our mission by playing an integral role in the triadic relationship and maintaining outstanding customer support. Tom and Nancy are industry stalwarts and ambassadors. Our firm has been listed with ALQ for over 30 years. We have also forwarded a lot of claims through ALQ. We have found that it lists high quality lawyers. There have been very few problems during the process but whenever we had a problem ALQ jumped right in to help us. Their service is superb. ALQ goes beyond what is necessary. I strongly recommend them. They have been invaluable to Greene and Cooper, LLP. Just a brief note to express our sincere appreciation for the services that you have provided to CMCS for more than 25 years. You have quite an operation going. Tom, Nancy and your entire staff have always been there for us. It is a pleasure dealing with professional, competent and enthusiastic people. Whenever we have needed to find a listee, even in those tough areas, the ALQ has provided an answer and supplied first rate representation. Thank you so much for all that you have done for us. Keep up the good work! — Richard M. Brownlee, Vice President/Operations, CMCS, Inc., Brighton, Mich. I have been a listed attorney for many years with ALQ. I have always been treated very professionally and have never had any problems with the services and referrals. ALQ has provided me with regular, steady and lucrative referrals since the last century. — Brian M. Sullivan, Attorney, Sullivan & Terranova, Portland, Ore.
Our law office works in 2 locations in Texas. We have been a listee with ALQ for years. ALQ has been and remains a placement service for those clients and agencies who look to collect obligations created in business. We have found ALQ to be one of the best servicing entities in the field. ALQ pays close attention to solving problems as they occur but is mostly noted for great service across the board. I strongly recommend ALQ to anyone in need of locating attorneys to assist in collections. It is a great pleasure to be listed at the American Lawyers Quarterly. We understand that the ALQ is a top quality list and that the best national and international professionals are named in this prestigious roster. Whenever we need to search a reliable professional in different countries, ALQ is one of the best engines to get the connection. ALQ has also conducted a great deal of attention into the international environments as Nancy and Tom have been attending several overseas meetings every year such as FENCA, LIC, GCS, etc. Finally, we would say that if you are not listed on this top qualified roster, you're not just losing opportunities, but you are not integrated into the worldwide best professional's market. I have used ALQ for over 25 years and have found the list to be a trusted source of information for finding out of town attorneys. The staff and ownership are all consummate professionals and the service I have received over the years is second to none. I would highly recommend ALQ to any Agency. As the Trinidad & Caribbean listee of ALQ for many years, I continue to be impressed with the integrity and quality of their claims and client service. I have been listing with ALQ for over 20 years. The relationship has been very rewarding for my office. The staff is very competent and courteous in the performance of their job. The agencies that forward claims to my office through ALQ provide high value claims that are current and ready for legal action. I would recommend ALQ to any law firm considering a new listing. — Stephen D. Bass, Attorney, Steven D. Bass & Associates, P.A., Albuquerque, N.M.
Our firm has been partnered with ALQ for over 30 years. During this time, ALQ has been instrumental to our growth and continued success. The quality of claims forwarded through ALQ is second to none. San Diego Credit Association has utilized the services of ALQ for many decades. This association began operating in 1896 and ALQ in 1899. I believe that our history together is one of the longest relationships that exists in the commercial collection industry. ALQ not only bonds the attorneys that we select for litigation on claims, the staff is an excellent source for references to forwarding attorneys. If we receive a claim in an unusual area and we do not know an attorney in that geographical area, we can count on ALQ to introduce us to the right attorney who is qualified to handle our claim. Tom or a staff member will actually contact the attorney, discuss our claim to make sure that the attorney is a good match and then the introduction is made. We just could not find a bonded attorney on our own without the assistance of ALQ. Need some help with a claim? It's easy ... call ALQ. We have been 100 percent satisfied with ALQ's service and courtesy. Thank you to ALQ and its staff for your friendship and for your assistance. My personal experience of being an ALQ listee for more than 20 years is that the ALQ takes personal commitment to both listees and commercial or retail forwarders to ensure a maximum advantageous professional relationship for all ALQ customers. ALQ means business — good business, profitable business. That's what ALQ is all about. — Richard Roosen, Attorney, Roosen, Varchetti & Olivier, PLLC, Clinton Township, Mich.
Our firm has been listed with ALQ for at least 30 years and we have been very satisfied with their careful attention, responsiveness and helpful resolution of any arising issues. We appreciate being able to list with them and it has proven to be a smart decision. Cohen McNeile and Papas, PC has been listed with ALQ for many years. Being listed in ALQ has been a great value for our firm. Tom has been a consistent advocate for us, and his efforts have paid off by opening doors with new clients and lines of business that we would not have otherwise been able to discover on our own. We intend to continue our relationship with ALQ so long as we remain focused in the area of creditor's rights. Great work Tom! — Jim M. McNeile, Attorney, Cohen McNeile and Papas, PC, Leawood, Kan.
Kohn Law Firm S.C. has been a member of the ALQ list family since 1997. As the industry has changed, and as KLF's business focus has changed, ALQ has kept pace with our needs and requirements of a law list. We especially appreciate the facilitation of introductions at industry meetings as well as the bonding protection the list offers. — Brenda A. Majewski, Director of Operations, Kohn Law Firm S.C., Milwaukee, Wis.
We have been working with ALQ for over 30 years and have been nothing but satisfied with the level of professionalism. Tom, Nancy and their staff have always gone above and beyond when responding to our inquiries or needs and we look forward to working with ALQ for many years to come. — Katie Whitmore, Legal Collector, Atradius Collections, Inc., Itasca, Ill. The first word that comes to mind when I think of ALQ is dependability. We can always depend on the quality of their listees and on the rare occasion where we need help, we can always depend on ALQ to promptly assist us. Thank you ALQ! — Peter Cappellino, Richmond North Associates, Amherst, N.Y.
We got a lead this morning from the blast email you sent out [regarding our new Industry Resources listing on your website]. Great investment for us. Thanks again! — Susan Dial, Director, A-lign CPA's, Tampa, Fla.
My law firms have been listed with ALQ for about 30 years now. Actually, now that I think about it, it is exactly 31 years as of November of 2013. Throughout that time, it has been my pleasure to have worked with the great people at ALQ. They have always demonstrated the utmost in professionalism with me and my staff. I have also found them to be efficient and pragmatic in resolving any issues that arose over the years. As a result, I look forward to working with Tom and Nancy and the folks at ALQ for many years to come. I've been forwarding claims for more than twenty years exclusively using the American Lawyers Quarterly. I have used ALQ as collection manager for a law firm, as a collection agency owner, as a debt buyer, and now as a collection and risk manager for Sterling Funding and Sterling Payment Technologies. Tom Hamilton and his staff have always provided me with great service. In the unlikely event that I have a problem with a listee, ALQ has always been able to resolve whatever issue I'm experiencing quickly and effectively. I have total confidence in the folks at ALQ. — Barry Kotzen, manager collection and risk, Sterling Funding, Tampa, Fla. I haven’t checked, but I am sure that our firm has listed with and forwarded through the ALQ for almost 50 years. The folks at the ALQ are always exceptionally responsive and helpful when we need a recommendation or help with a ticklish situation of forward-receiver relations. They can always be counted on. Since my start in the collection industry close to four years ago, ALQ and its staff have made me feel welcomed in a new environment. The customer service is outstanding whether it is handling a specific claim or getting a recommendation for new counsel. The staff does a great job in following up on any outstanding issues and would recommend them to any forwarder or attorney. — Brian Haley, legal coordinator, Windham Professionals, Inc., Salem, N.H.
For over thirty years, ALQ has been my primary resource for selecting local litigation counsel in my collection practice. ALQ selects quality lawyers and firms, monitors their performance and always supports my (rarely needed) requests for service assistance. As a relatively small-volume forwarder, I appreciate that ALQ staff gives my business the same attention and value as claims from large agencies. As we say in Texas, if it ain't broke, don't fix it...and I'll keep ALQ's web search link among my most trusted professional tools. American Lawyers Quarterly is an important strategic partner for our firm. ALQ's staff is knowledgeable and clearly conveys potential solutions and alternatives to their clients in need of legal services. ALQ has proven to be innovative, thorough, and professional with all aspects of their services and communications. We look forward to continuing our long relationship with American Lawyers Quarterly, and it is our pleasure to recommend them whenever we have the opportunity. — Daniel C. Kerrick, Esquire, Ciconte, Wasserman, Scerba & Kerrick, LLC, Wilmington, Del. ALQ first listed our office nearly 30 years ago. We quickly came to recognize that ALQ is a leader in the industry and that our listing and relationship are of tremendous value. ALQ coached us in procedures, innovations, and effective marketing. We grew from a handful of claims to the volume we enjoy today. Our investment in a listing has truly paid off. Not content to publish a valuable directory, ALQ takes an active interest in bringing business to our door. I appreciate doing business with ALQ because they share my interest in responsive communication, effective marketing, and improving industry professionalism. I first met Tom Hamilton and the ALQ team when I had my agency in Tokyo for 12 years. During that time, I had many claims across the US in which Tom directed me to the attorneys in the ALQ network who service us greatly . I have always found the warmth, customer care, and professionalism of the ALQ team to be outstanding; and look forward to many more years of working together. I have been an ALQ Listee for more than 40 years. It is remarkable how constant the high level of quality service and assistance has been during that time. A job well done by all! — Robert A. Pasch, Attorney, Murphy Desmond S.C., Madison, Wis. I would like to thank Judy Taylor and the ALQ staff for their help to remedy a recent problem. We have used the ALQ for many years and have been very pleased with their prompt and helpful service. We intend to use the ALQ's service for many years to come. Thank you again for your assistance and positive outcome. Our firm has been a listee of ALQ for over 25 years. ALQ has actively promoted the services of our firm for each of those years. Without reservation, I would recommend ALQ to any potential listee. — Edward F. Bukaty, III, Attorney, Metairie, La. At Marcadis Singer, P.A., we are proud to partner with ALQ in the marketing of our firm. We have had an association with ALQ for more than 25 years and have found that they effectively market our firm, enabling us to link up with quality clients. We look forward to working with ALQ for many years to come. — Jim Dougherty, operations manager, Marcadis Singer, P.A., Tampa, Fla. I have forwarded claims over the ALQ for over twenty years and I have been impressed with their professionalism and attention to customer care. Tom Hamilton and Jeremy Brown have always been available to address any service need I may have. I look forward to working with them in the years to come. In my past 12 years here at Rauch Milliken International, I have received A+ service and professionalism from the staff of ALQ. The website is a fast and convenient aid in finding attorneys to help us in our collection matters. Our files are delivered electronically and acknowledged by ALQ within minutes of sending. Tom and his staff have always been right there by our side to handle any issues that we may have encountered. I would highly recommend ALQ to anyone needing assistance in this field. — Tara Hernandez, legal supervisor, Rauch Milliken International Inc., Metairie, La. Our experience with Tom Hamilton and his staff over the past 24 years has brought us consistent positive results. Always listing top notch law firms we can depend on. ALQ responds quickly to our inquires for assistance with a courteous professional manner. We feel fortunate knowing ALQ is in our corner for whatever situation should arise in our fast paced business of collections. — Bill Nellos, Creditors Recovery Systems, Inc., Villa Park, Ill.
Hunter Warfield has been using ALQ to assist in building our attorney and vendor network for several years. We have not only been pleased, but impressed with the level of service that they provide. The staff not only understands our business, but have always been able to achieve the results we are looking for no matter what our need. On behalf of Hunter Warfield and its clients, we would like to thank you and your staff for the impeccable level of service provided that is so important to us. It would be a gross understatement to say that I am very grateful for your recommendation of a fellow ALQ listee to assist me by preparing a brief for trial counsel for defense of an out-of-state judgment, forwarded to me for enforcement by garnishing the PA bank account of a multi-billion dollar company. That attorney rose to the occasion, on very short notice, and produced a wonderful product that is being filed, on time, at this moment. Where would I be without the American Lawyers Quarterly, and Tom and Nancy Hamilton?